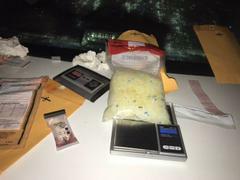 HCSO: Traffic Stop Yields Methamphetamine Seizure. (Harris County, TX) Harris County Sheriff’s Office District 5 Patrol deputies are credited with arresting and charging a 24 year old Cypress man and seizing nearly a half a pound of Methamphetamine off the streets. 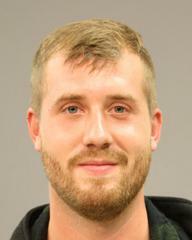 Deputies say that Ross Alexander LeBeau was driving a 2006 Acura on Highway 6 north in the Copperfield area on Monday , December 5, 2016, when he made right hand turn without signaling. This violation resulted in a traffic stop in the 15600 block of Pebble Lake drive. Deputy S. Aguilar immediately detected the odor of marijuana in the car and inquired to Ross if there were any illegal drugs in his vehicle. Mr. LeBeau stated there was a small amount of marijuana in the center console and a baggie of marijuana was recovered by Deputy Aguilar and he was detained at that point. During an inventory of the vehicle Mr. LeBeau was driving, a bag was found with small clear, blue and gold colored “nuggets”. A field test was conducted, and these “nuggets” tested positive for methamphetamine. The total weight was 252 grams, a little less than half a pound in weight. Mr. Ross LeBeau denied any knowledge of the methamphetamine that was found in his vehicle. The Harris County District Attorney’s Office was notified of the circumstances and accepted the charge of Possession of a controlled substance PG 1-200-400 gram. LeBeau made his bond and is currently released on a $50,000 bond in the 339th District Court. This is another example how a routine traffic stop turned into a significant narcotics arrest in our community and may have kept our children and loved ones free from being introduced to drugs. Deputy Aguilar and other deputies are challenged on a daily basis to enforce the law using not only their knowledge and expertise, but their powers of observation to take criminals off the street.